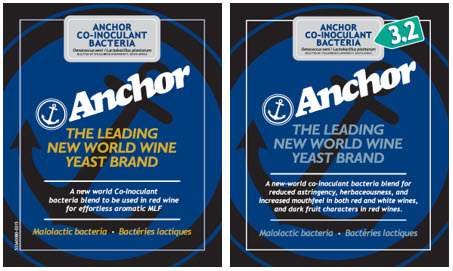 Anchor Yeast was the first company in the world to introduce a blend of bacteria specifically created for the quality, aroma and sensory enhancement of the wine during malolactic fermentation. These mixed cultures are specifically developed for co-inoculation and is a blend of Oenococcus oeni and Lactobacillus plantarum. The Anchor Co-Inoculant Bacteria enhances the overall fruit intensity of high pH red wines, including the red berry aroma characteristics. The spicy notes are increased, as is the overall aroma intensity of the wine. The Anchor Co-Inoculant Bacteria 3.2, suitable for malolactic fermentation in lower pH red and white wines, enhances the complexity and dark fruit profile of red wines, whilst decreasing the astringency. Similarly, white wines showcase less green characteristics and become softer and fresher.